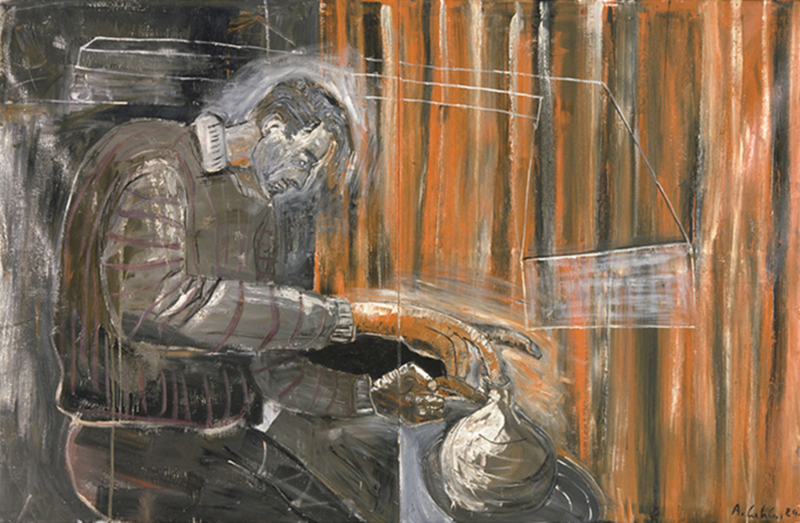 Albert Oehlen, Selbstportrait mit Einlochtopf (Self-Portrait with One-Hole Vase), 1984, oil on canvas, 67 × 102 3/8". The works in “Home and Garden,” the first major retrospective of Albert Oehlen’s work in New York, explore separate but parallel universesrepresentation and abstraction, manual dexterity and pixelated matrixand commonly bring both together at once. Oehlen is a skilled painter, despite the sensation of glum helplessness his work often evokes, an emotional tenor fortuitously coincidental with (and generative of) our moment in art history when the “de-skilling” of painting passes for fiat: Expressionism as “inexpessionist painting . . . a pretext for an analysis of the act of painting than as painting itselfthe picturing of a picture. 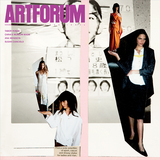 . . ,” as Massimiliano Gioni (who headed the show’s brilliant curatorial team) neatly puts it. Or, to say it another way, this show celebrated “a grammar of expressionism” ultimately deflating into the blur of modish inexpression.